Sometimes the little stuff is the most satisfying on a build because those things typically mean you are starting to get into the last stretch of the build. I think that’s where Matt from Urchfab is at with the Mongrel right now. His attitude is awesome because he’s getting excited to see the whole thing coming together, although he does mention that he never believed it would take 50 episodes to get where he’s at. I say he’s doing a great job and I thoroughly enjoy watching this little car come together. I’ve done my own body and chassis swaps and can tell you that they are not easy. He’s made this one look pretty simple, but we know there is a ton of work and planning that goes into something like this. We love what he’s done though and can’t wait to see it continue. 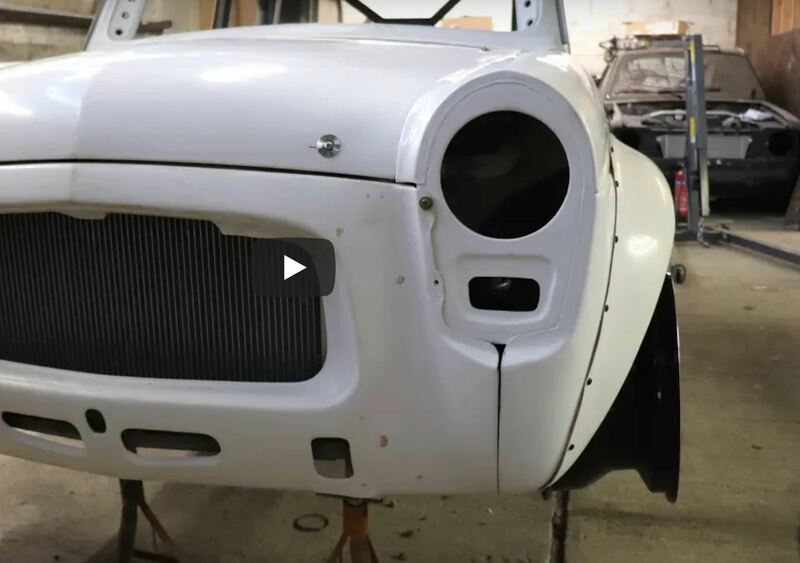 Watch as Matt gets the fuel filler and hood all set in this episode. He’s got some cool spring loaded fasteners for the hood, and man those fender flares look amazing! The Big Bud Tractor Restoration: Paint, Paint And More Paint! Beater Blasters: Will Ten Grand And Two Craigslist Specials Turn Into Off-Road Racers?